Don’t fall behind. 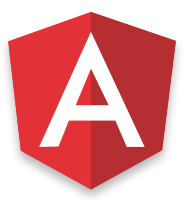 Attend the Rockncoder’s first online lunch and learn covering the next version of Angular. In this talk we will build an app using Angular 2. We will compare and contrast it to a similar app built using Angular 1. We will write our app using TypeScript and show how to get your dev environment set up. This lunch and learn is free. It will take place online on October 8, 2015 from 12 to 1 PM PDT. While this event is free, you must register to attend. Don’t wait too long, there are only 50 seats available.